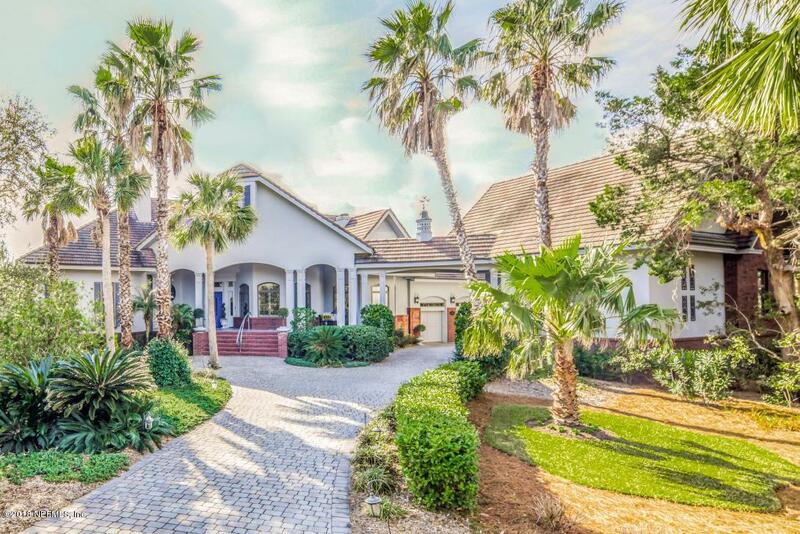 This meticulously maintained custom home sits on one of the largest single lots in the Long Point community. Features a stucco and brick exterior, lifetime concrete tile roof and is fully landscaped. Inside you will find a large theatre with many accessories and there is a Noyes built-in surround system for most areas and the interior walls are insulated for sound. The chef's kitchen is inspiring and includes upscale appliances. Custom cabinets by Mooney Woodworks are found in the kitchen, baths, laundry and family room. The outdoor space is inviting with a screened pool and summer kitchen area. Your privacy is ensured by a Preservation area behind the home as well as tidal marsh. There is a separate carriage house with an upstairs office area. There are many more exceptional details!